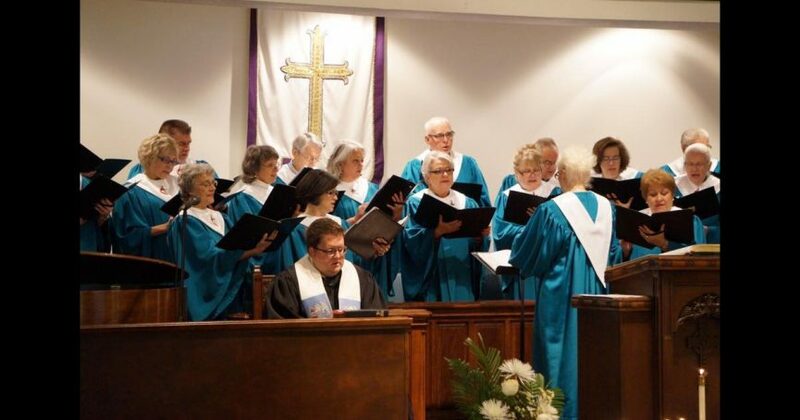 The First United Methodist Church of Decatur offers a variety of musical ministries for those who would like to be a part of the worship service. Please have a look at the many ways participants can share their musical spiritual gifts with others. 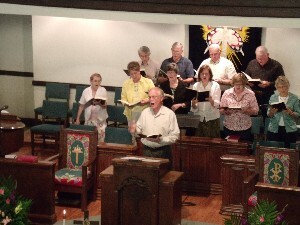 The Chancel Choir provides worship leadership regularly each Sunday at the 10:50 a.m. service. Rehearsals are Wednesday evenings at 6:30 p.m. in the Sanctuary. Childcare is provided. In addition to Sunday morning worship, the Chancel Choir presents cantatas at Christmas and Easter. New members are always welcome. Our choir rehearsals are open, and no auditions are held. Come join us! The Chancel Bells rehearse on Wednesdays at 5:00 p.m. on the 3rd floor (behind the organ pipes). Chancel Bells play in worship services every six weeks or so and for special occasions throughout the year. Substitute ringers are needed and the ability to read music is helpful. Do you have a desire to worship the Lord with music? Do you like Contemporary Christian, Gospel, or Bluegrass music? If you answered YES to any of these questions, then FUMC of Decatur has the place for you to serve and worship! Join “The Band” Team once a month during early service. They incorporate many styles of music from Bluegrass, Gospel, to Contemporary Christian. They meet the Wednesday prior to the Sunday they are singing/playing. If you have any questions regarding how YOU can get involved, please contact the Church office. Thank you. The Second Sunday Singers sing during the Early Worship service on the second Sunday of each month.